Renowned Italian tenor Andrea Bocelli is the most successful classical solo artist ever and one of the best-selling performers in any genre, having sold more than 80 million albums worldwide of both his classical and pop albums. Recently remastered, with attention to every detail to ensure the highest sonic quality, 'Cieli di Toscana' is one of a selection of titles forming his incredible �pop� catalogue that is being released with faithfully replicated original artwork, including the original booklets. 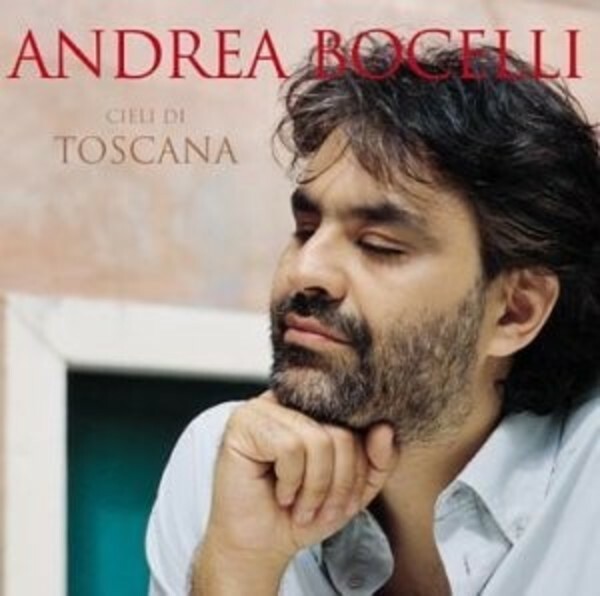 Andrea Bocelli is an icon in music. He has performed for 4 U S presidents, 3 Popes, the British Royal Family, several Prime Ministers, and as well as at ceremonies for the Olympic Games, Shanghai World Expo and Expo Milan 2015. His long list of awards begins with his win at the Sanremo Festival (with Il Mare Calmo Della Sera), as well as 7 World Music awards, Golden Globe, Latin Grammy award, 6 Classical Brit awards, 4 ECHO awards, Kamera awards, Bambi award, and many more.